In keeping with tradition, members from Red Hill Folk will open the afternoon with a presentation of fun songs for the little kid in all of us. If you like lusty male voices, driving foot-tapping rhythm, and gritty full-bodied singing, then you’ll love the Red Hill Boys. They’re a bunch of blokes of dubious backgrounds, boisterous talent, and strong presence, who just love to sing. Their light-hearted style brings a freshness to old favourites, breathes life into murder ballads, puts steam back into train songs, brings the rich smell of the sea into shanties, and puts the tears back into country ballads. Brad (guitar/vocals), Lawrie (guitar/vocals), Pete (mandolin/vocals), Ross (banjo/vocals) & Warren (guitar/vocals), have all been around the folk and country music scenes for more years than they care to reveal, and love nothing better than bringing the great music of our past back to life. An “all-girl” band of friends who got together in 2009 “to have fun & make some noise”. Despite knowing “diddly squat” about music, they decided to have a go anyway, and have been spreading the joy ever since. Their repertoire includes an eclectic mix of “folk-rock” including old favourites from the 1950’s – 1990’s with a sprinkling of originals, and lashings of fun. Frenetic rhythms, rousing harmonies, and infectious camaraderie. They play everything from Roots & Blues to Jazz with hints of gospel and country swing. With nearly forty years performing professionally as solo/duo /band members, this pair have “paid their dues and deliver effortless finesse and soul”. Quirky originals & fabulous covers… A class act! Chuck and Chrissy will be joined by guests, Geoff Carwardine,Christine Burke & Neil Haywood in the latter part of the set. 3 Piece Acoustic Blues Trio consisting of The “G-Man” on Double Bass & backing vocals, “Big D” on Resonator Guitar, stompbox & vocals, and “Uncle” on Harmonica & vocals, playing a mix of originals & covers typically in the style of old school early 1900’s Acoustic Delta Foot Stomping Blues. Since forming less than two years ago they have built a solid following around the Gold Coast area and are planning the release of their first album in the new year. With flying fiddles and rich harmonies, evocative of a lively Irish pub, their songs are stories – some of them hundreds of years old – wrapped up in music. Their rollicking jigs and reels will keep your feet tapping. The Irish call it the craic. It’s a word that means music and fun and, typically, quite a lot of the demon drink all bound up together. A wonderful band of Australian musicians with Celtic music in their DNA: Mark Cryle: guitar & vocals, Rose Broe: accordion & vocals, Mick Nolan: bass & vocals, Hugh Curtis: fiddle & mandolin, Suzanne Hibbs: drums & percussion. Check out the write up in Weekend Edition. are the epitome of honest, home-grown contemporary folk music. Award-winning songs, breath-taking harmonies and an obvious joy in singing and playing together make this family an absolute pleasure to watch. Expect a healthy dose of family banter too and the chance to join in on a few choruses. Karen has been writing songs for 30 years, and in the last two years began performing with her son Murray (now age 17) as a duo. Last year that grew to include her two daughters (15 and 13) and now the whole family perform together around the country. Two of the songs on the album have won awards in the last year. Karen’s song about Nambour ‘Sweet in the Morning” won a prize in the Sunshine Coast Council song competition in 2017, and “9am on Polling Day” was the 2018 winner of the Illawarra Folk Festival songwriting competition. 2pm Saturday 13th October, 2018 at the Tallowood Room, Indigiscapes, 17 Runnymede Road Capalaba. All committee positions will become vacant, and election of the new committee will be undertaken at the Annual General Meeting. Hailing originally from Lancashire, England, and now residing in New Zealand, Phil’s performances feature unique arrangements of contemporary & traditional songs, expressive vocals, and skillful guitar work woven with a generous dose of Northern English banter. Alongside his performance, Phil will conduct a 1–hour workshop covering his song-writing techniques, including demonstrating the creation of a song through guitar & vocal arrangement, ready for presentation. Steve Tyson is well known to Brisbane audiences as one of the main songwriters and guitarist in long-standing folk-rock favourite Rough Red. Now based in Byron Bay, Steve has also released three critically acclaimed solo records in recent years, his latest offering, WRONG TRAIN RIGHT STATION tells tales of home, family, travel & politics. Steve has been touring the record throughout Australia with a new band, The Train Rex. The band includes Steve’s longtime bass partner from Rough Red, John Barr, plus Sydney drummer Andy Kirkcaldie, and Brisbane-based guitarist Ian Shawsmith. Melbourne-based bluegrass duo with leanings towards old-time and country music. Vocal harmonies, mandolin and guitar picking. Colin Weight (Guitar, Vocals) and Vinny Russell (Mandolin, Vocals), have been active in the Victorian (and national) folk and bluegrass circuits, largely through their respective bands Nine Mile Creek and The Knott Family Band. Their performances as a duo draw from a broad span of original and traditional material, from the likes of Bill Monroe and The Everly Brothers right through to Hot Rize and Mandolin Orange. Playing with melodic picking, sung close harmonies and a joyful energy, their performances are sure to delight. BYO guitar! Gifted guitarist Nathan George began teaching guitar at 19yo, and knew early that he wanted a career in music. With a teaching style aimed to inspire rather than simply inform, Nathan will weave a workshop into his performance, providing opportunity for participation. The workshop will be geared towards beginner to intermediate players and, while some theory will be involved (e.g. navigating the fretboard), the focus will be practical (e.g. playing with others) and hands-on. Blackboard performers welcome from 1-2pm, followed by Nathan 2-4pm. A fun day for all the family celebrating World Environment Day. journey of laughter and music. Russian folk music roots are clearly influential in Innessa’s fresh and unique style. Russsian born, but now based in Australia, Innessa leaves audiences spellbound with dreamy emotional lyrics sung in eclectic styles. The day she finished University, she packed her guitar and set off to explore the world, and the world of music. She has spent time living, studying music and performing on the Black Sea, Moscow, Egypt, Spain, The USA. Since arriving in Australia she has released three studio albums and has performed at Australia’s largest festivals including the Canberra Multicultural Folk Festival and the Woodford Folk Festival. In 2017 Innessa’s song “Yasen” was selected as a finalist in the Queensland Music Awards. Innessa is currently recording her ultimate album in alternative folk style. She will perform many of her new songs from the coming album. Catch Innessa before she heads off to Russia in May. With a warm stage presence, retro soulful sound and a knack for storytelling, Andrea has been steadily building a national following since the release of her first album, ‘From the Ground Up’ in 2013. She writes and arranges her songs by weaving melodies and lyrics together with purpose and passion much like the way her Fijian grandmother used to weave pandanus mats in the village on the island of Matuku, Lau. Andrea’s sound can be described as an earthy blend of folk, roots, reggae, blues, funk and soul. Warm interpretations of classics and emotive original songs. Acoustic duo, Chris Hall & Ann Leung are G’day China – creating evocative soundscapes delivered with a rich blend of vocal harmonies, delicate fingerstyle guitar and gentle musical sensibility. Chris is a self-taught bass guitarist and vocalist, who enjoys a variety of soulful and upbeat music. Chris & Ann also perform with all-girl, folk-rock band Diddly Squat, who were featured on ABC TV’s Exhumed program 2013. We’ll be celebrating St. Paddy’s day in true Celtic fashion with a good ol’ fashioned jam session. Bring your best Irish songs. 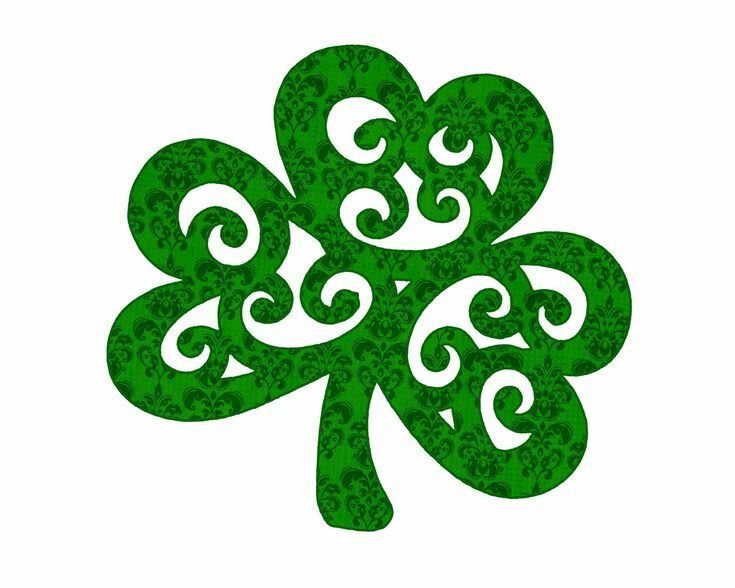 Performers are invited to play 3 Celtic/Irish songs each. Please pre-register by emailing vicky@artstable.net with a list of 5 possible songs, from which 3 will be chosen (to ensure no double-ups). Helen Ashworth – Helen wowed our audience at The Folk Redlands Christmas Bash in December so we are delighted she is returning to perform for us again. Since discovering a love of the guitar at age 12, Helen has performed throughout QLD and also took part in a short tour of the USA. After completing a Bachelor of Music (Jazz Guitar Specialisation), Helen has spent the last couple of years travelling on and writing the basic framework of her first recordings. Since arriving back in Australia in March 2017, Helen has been playing shows and working on her debut recording, set to be released early in 2018. Mr G, aka Geoff Carwardine will be a familiar face to Folk Redlands’ regulars. After several years away in Vietnam, Mr. G is back and performing ‘music of the heart’.